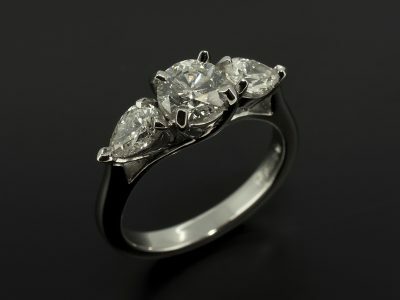 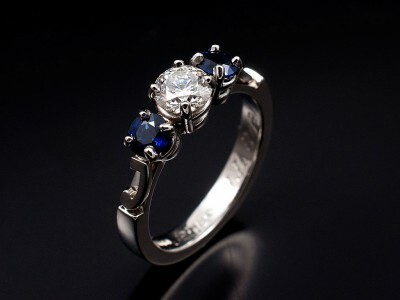 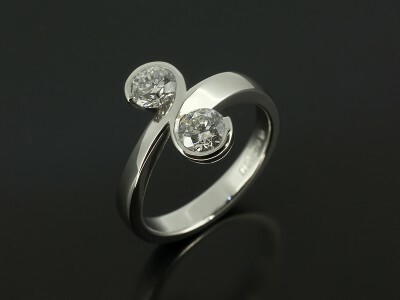 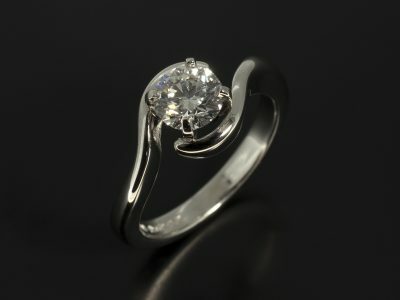 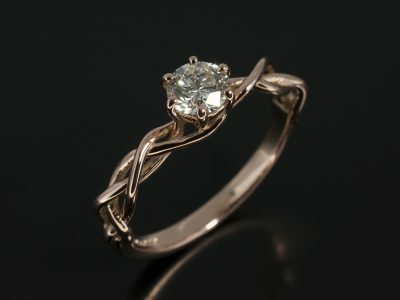 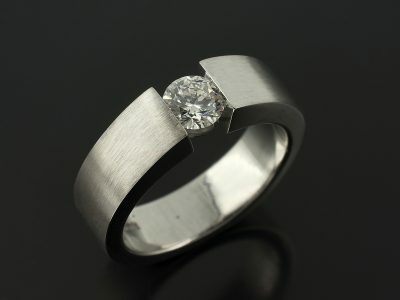 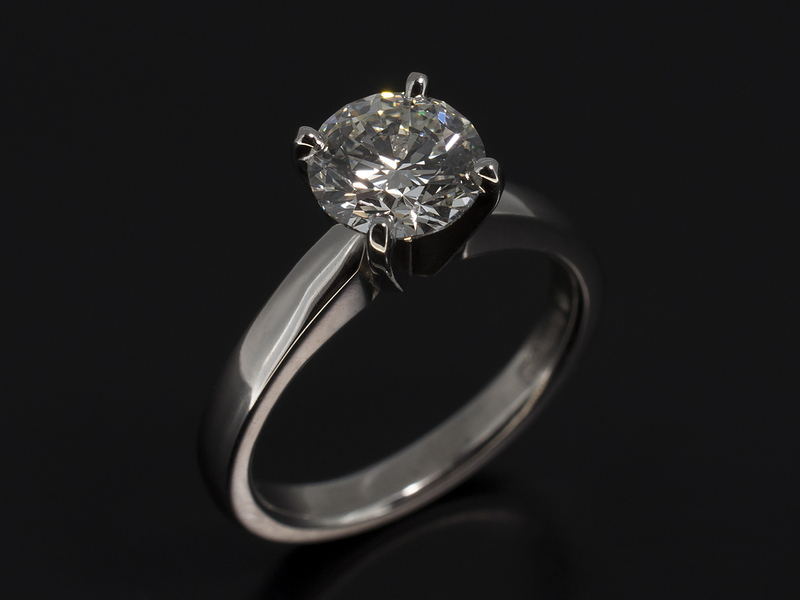 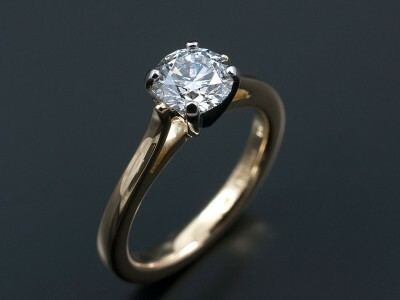 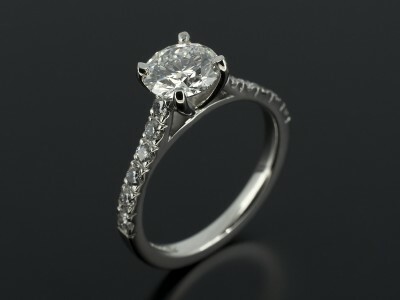 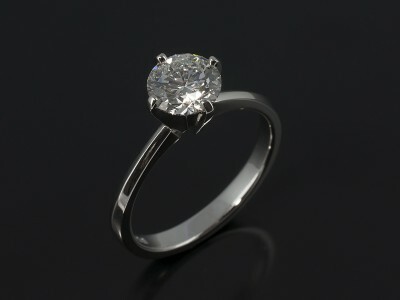 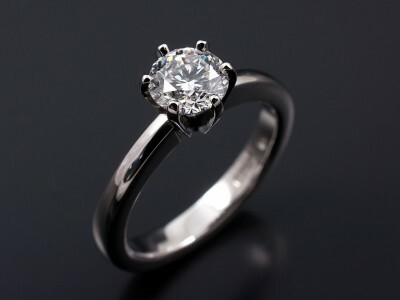 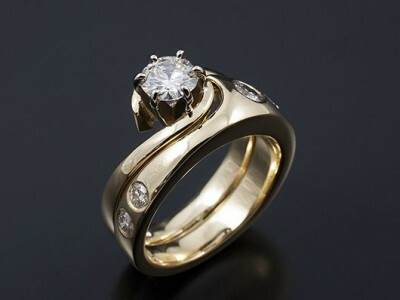 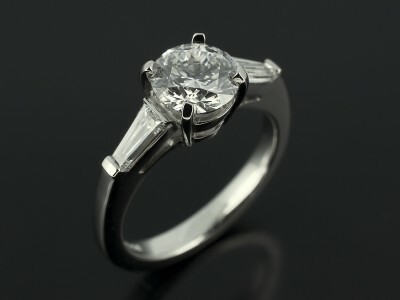 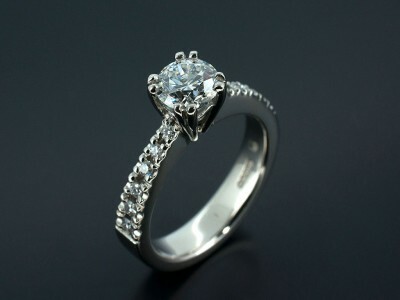 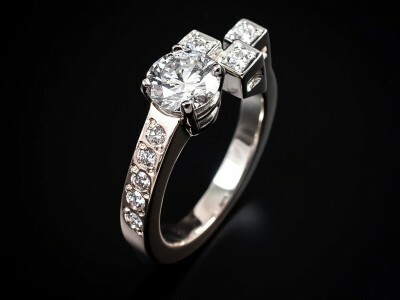 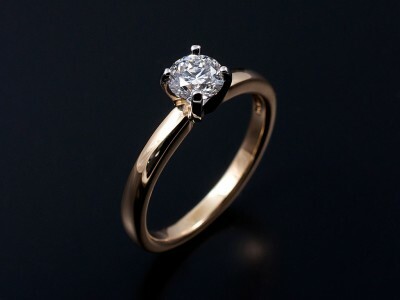 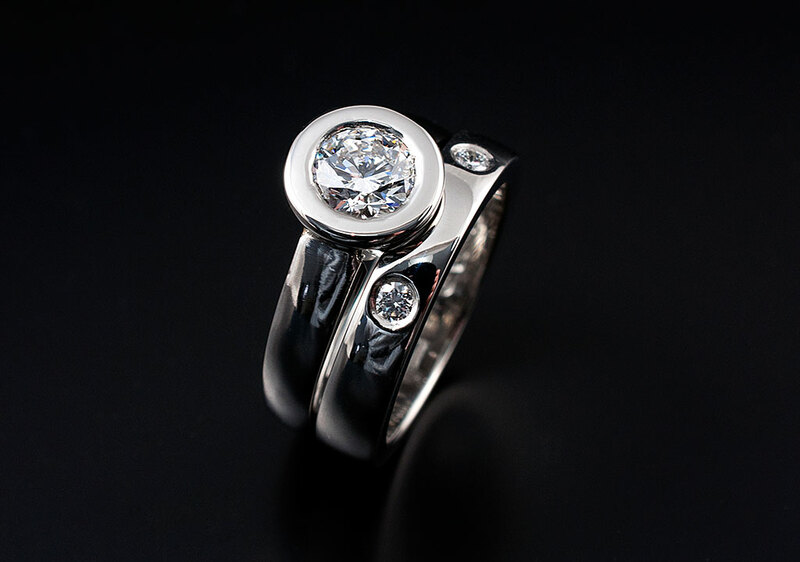 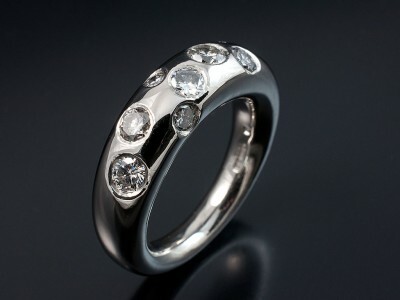 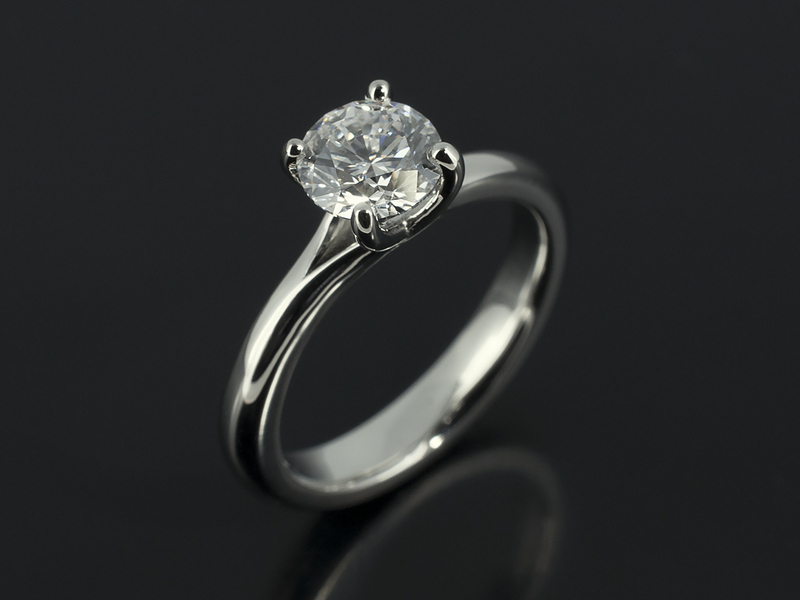 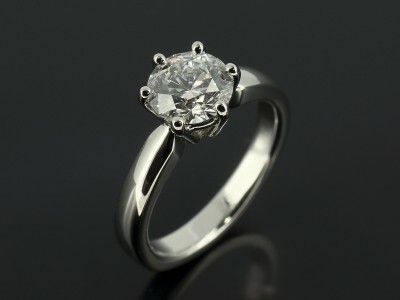 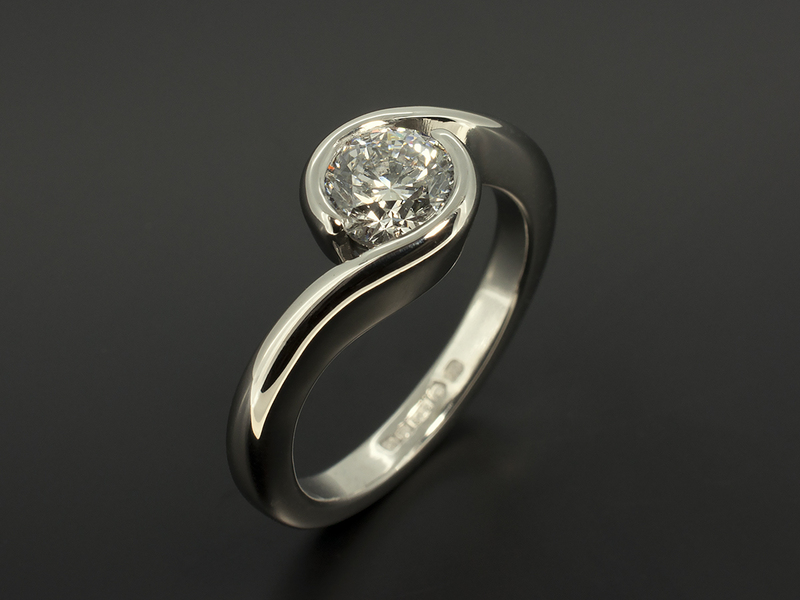 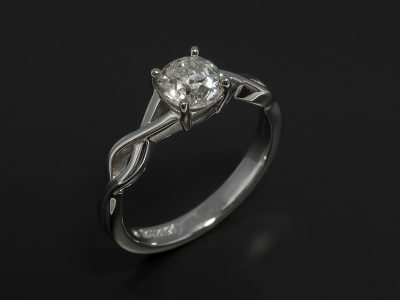 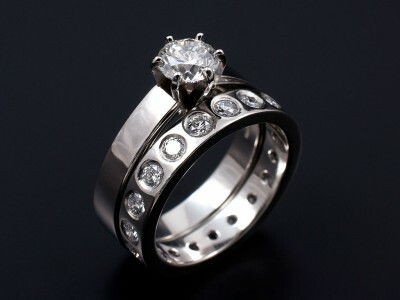 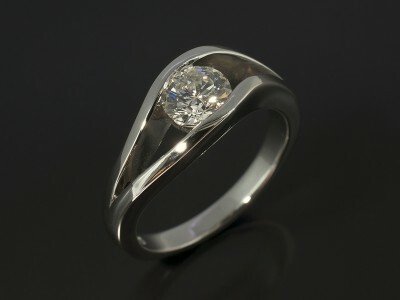 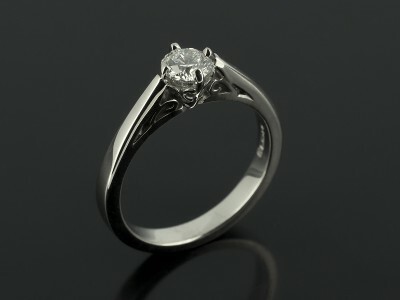 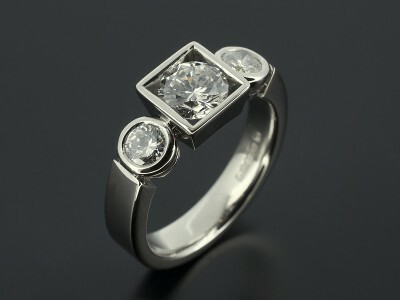 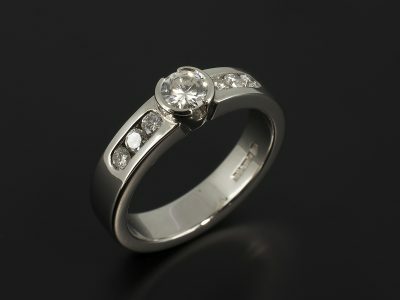 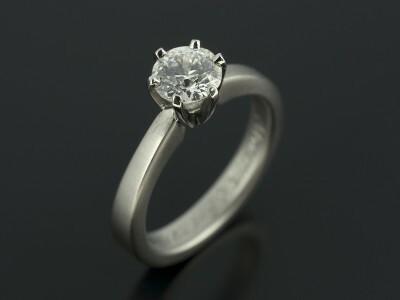 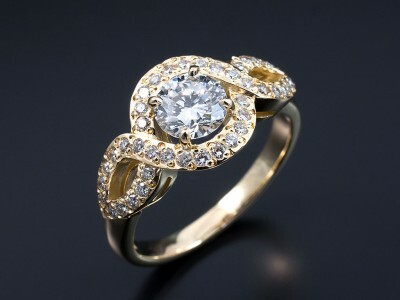 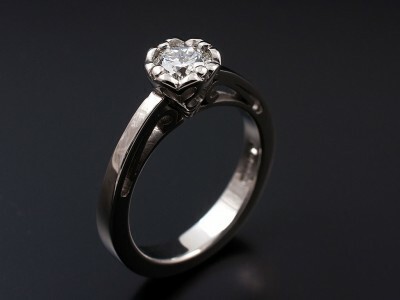 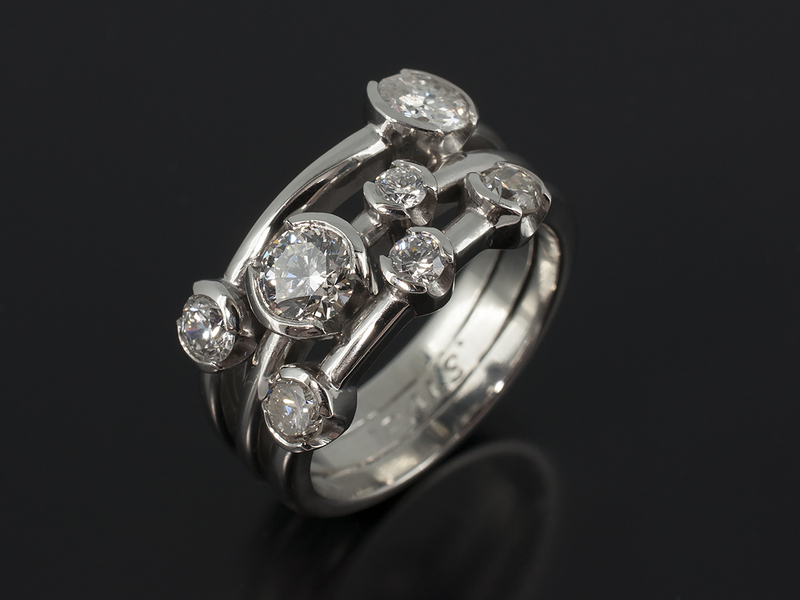 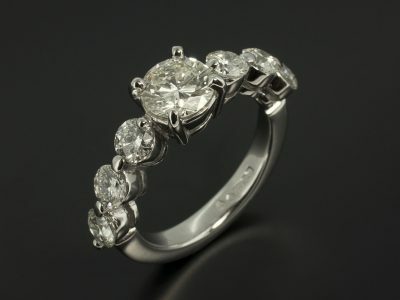 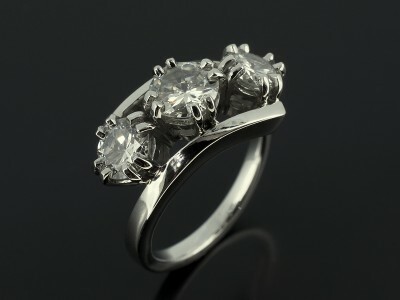 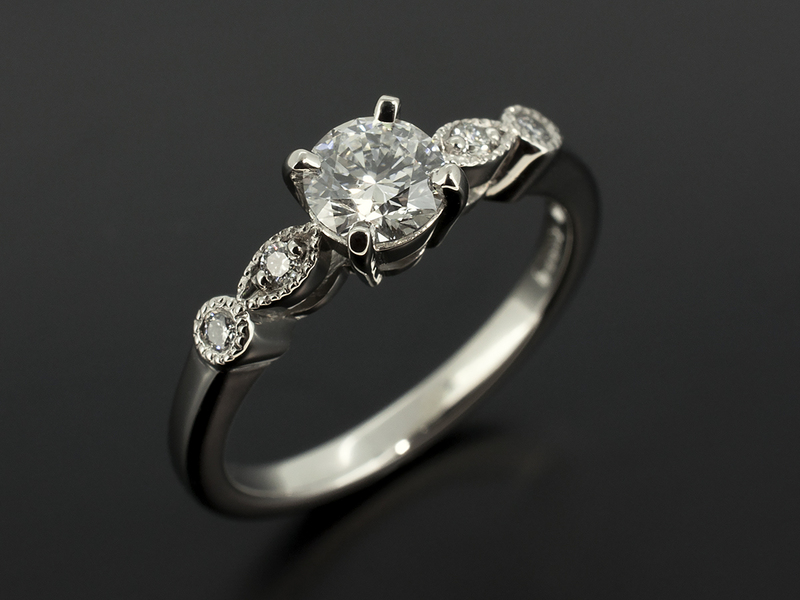 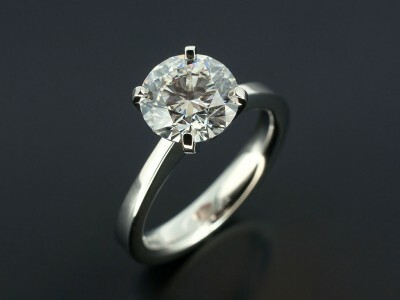 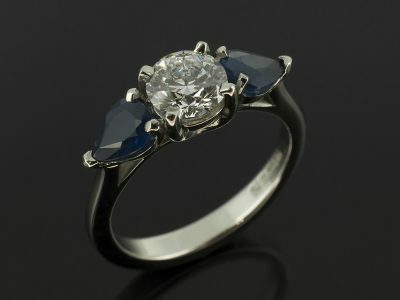 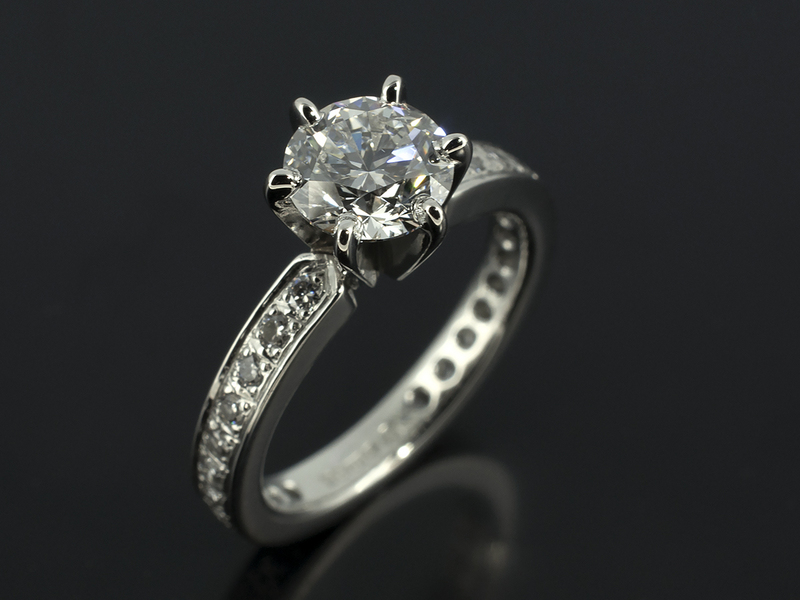 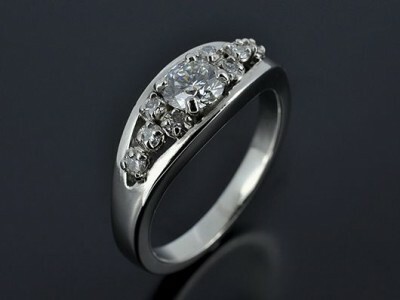 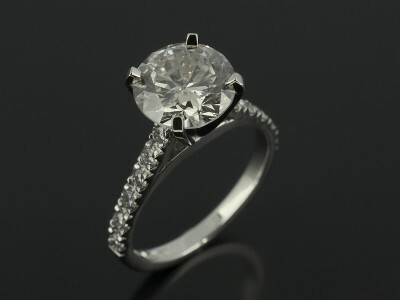 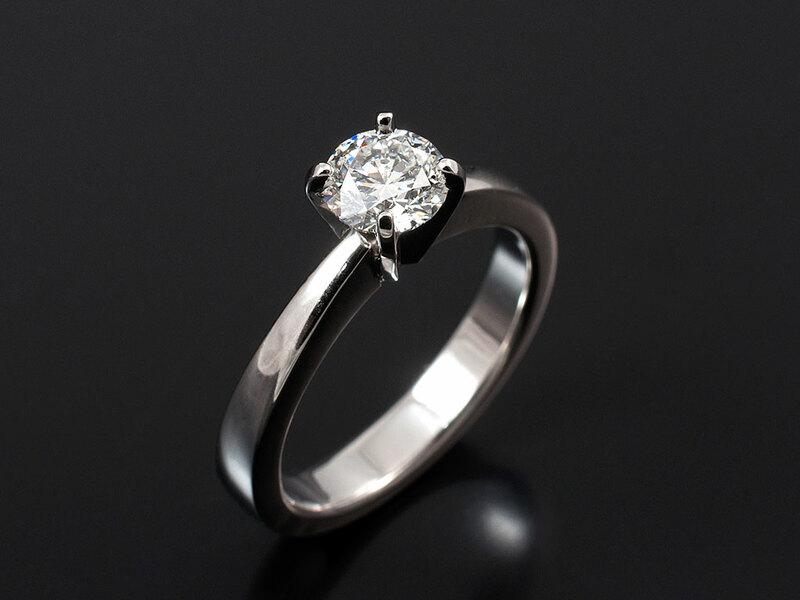 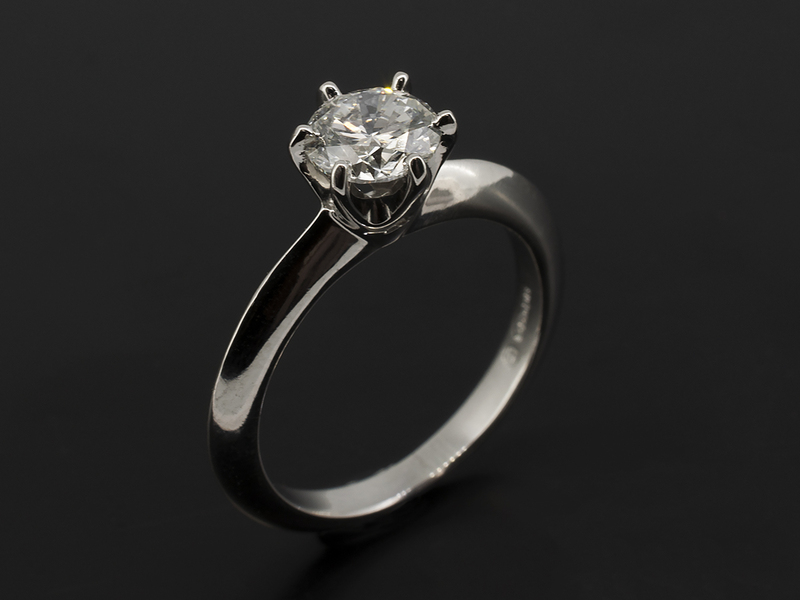 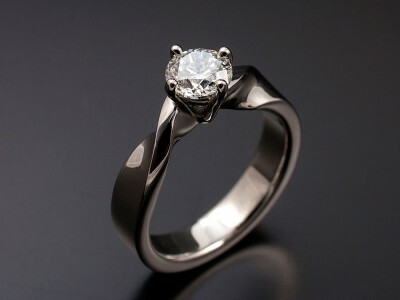 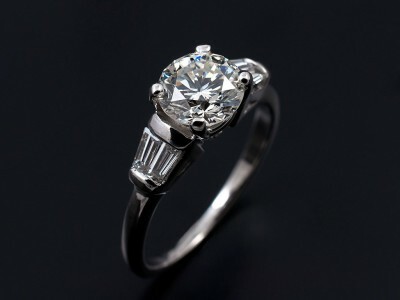 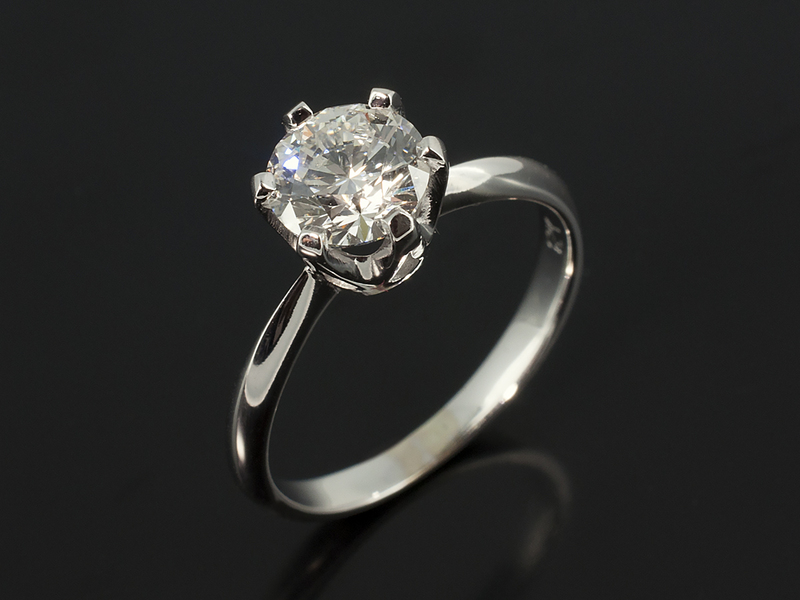 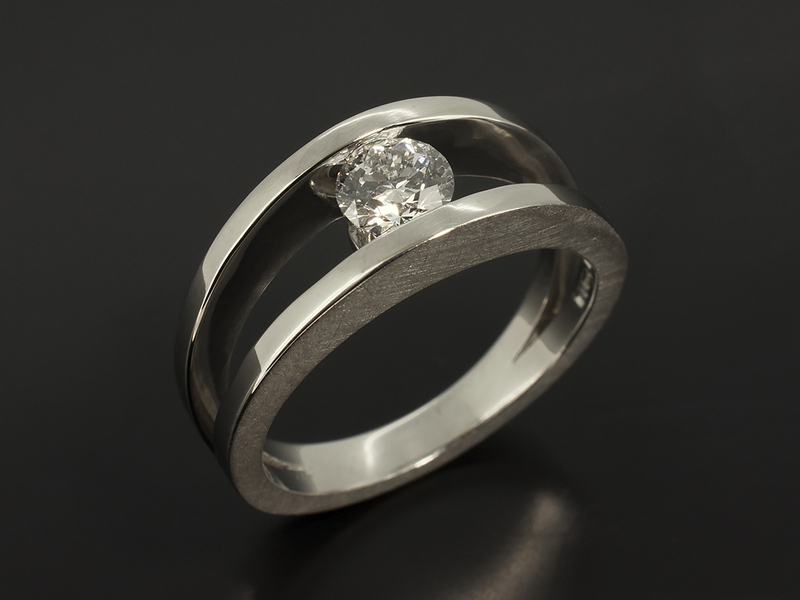 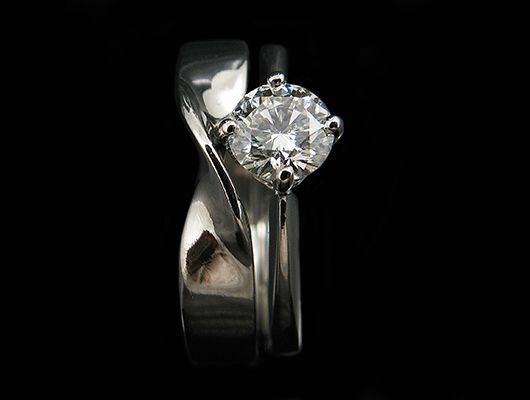 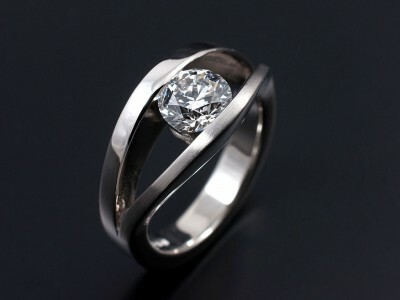 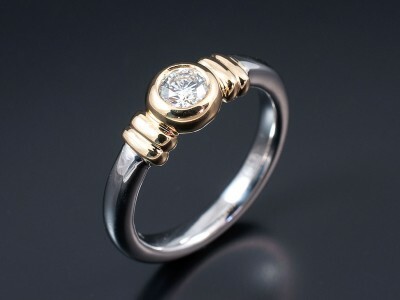 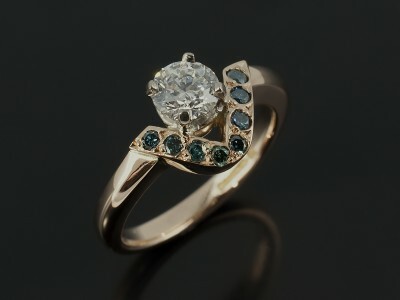 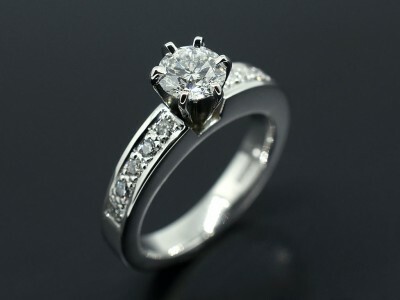 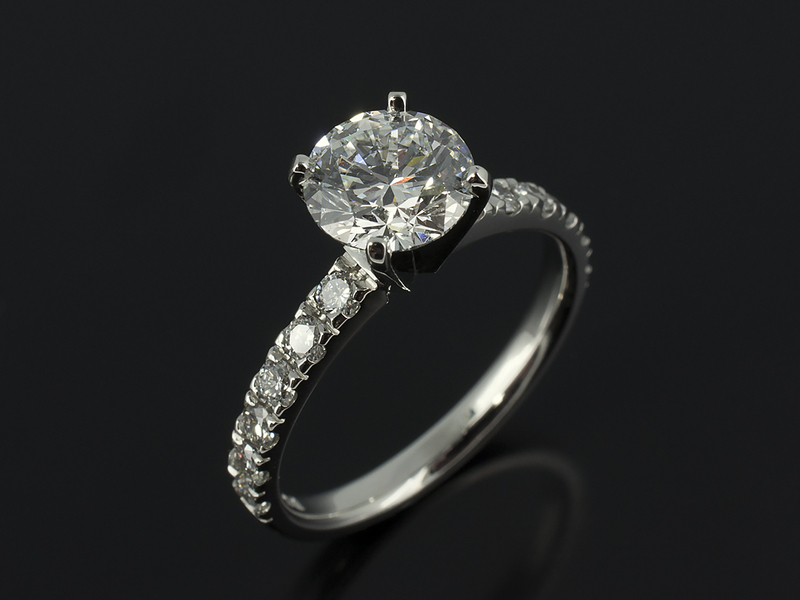 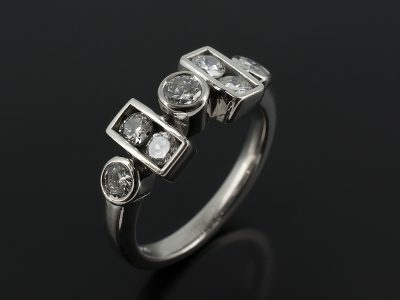 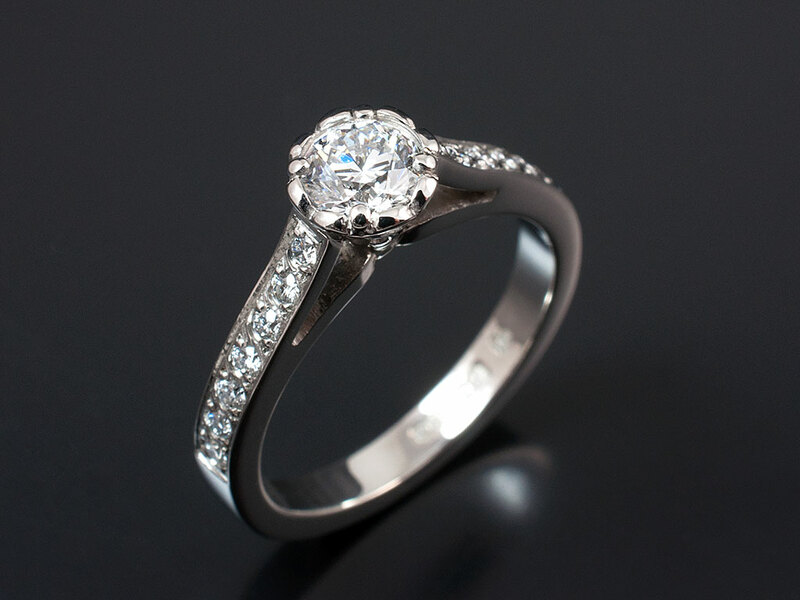 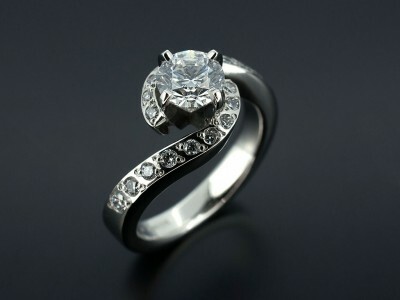 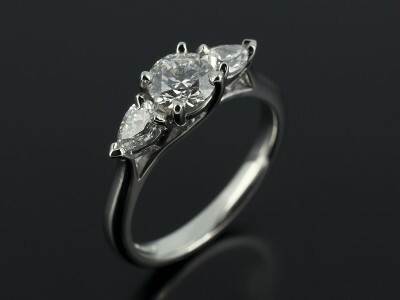 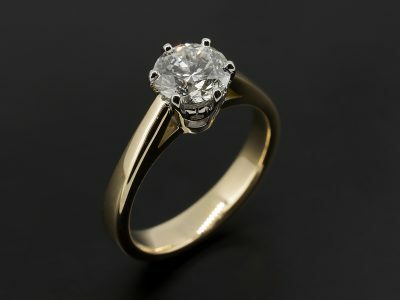 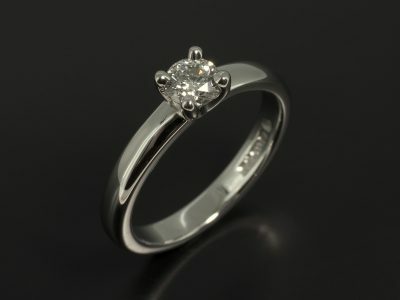 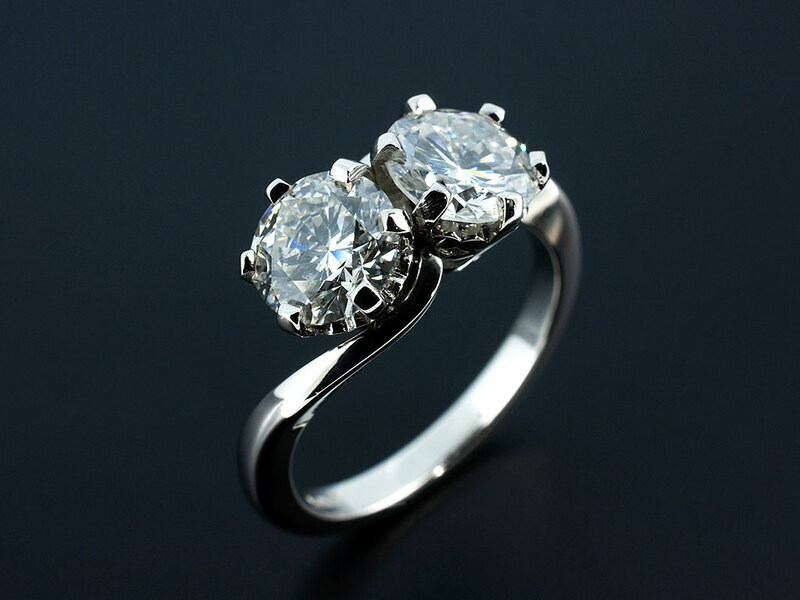 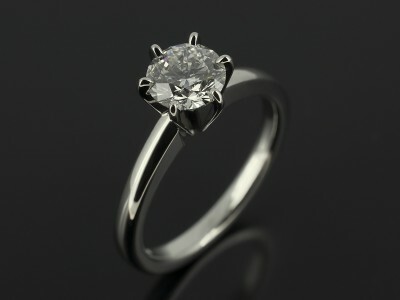 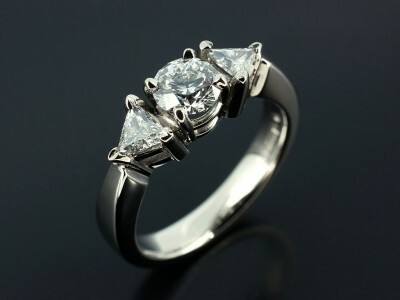 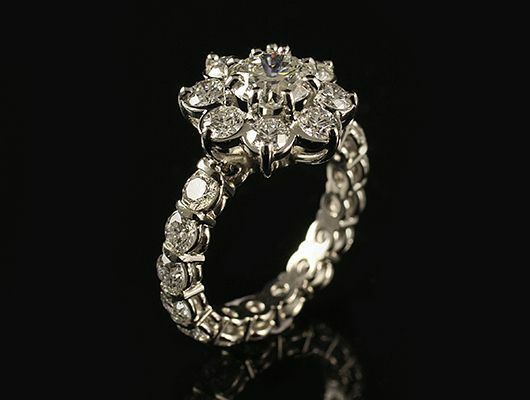 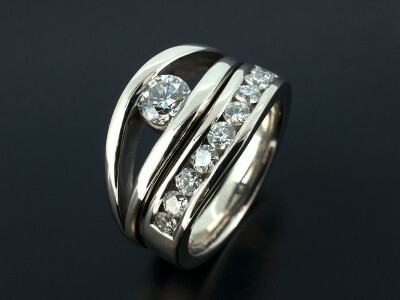 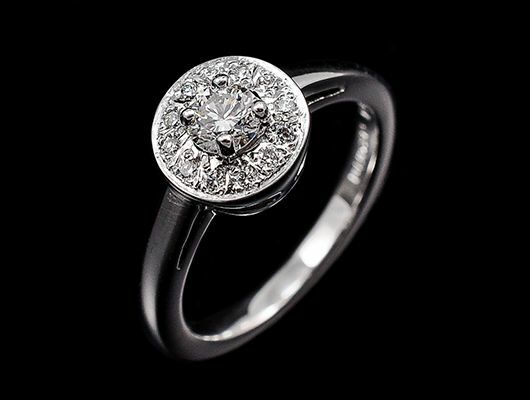 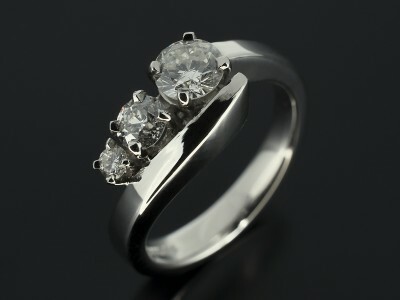 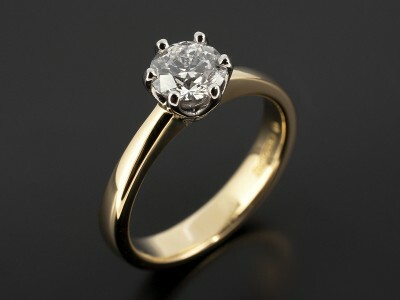 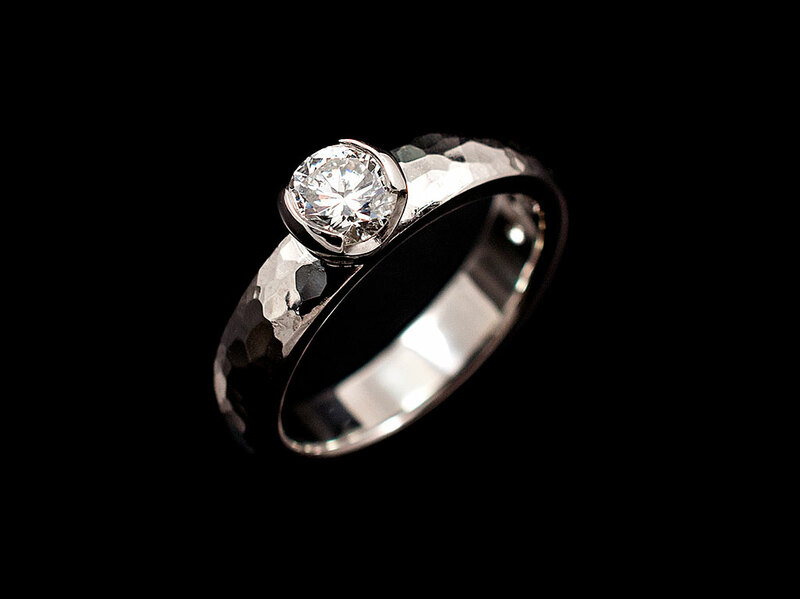 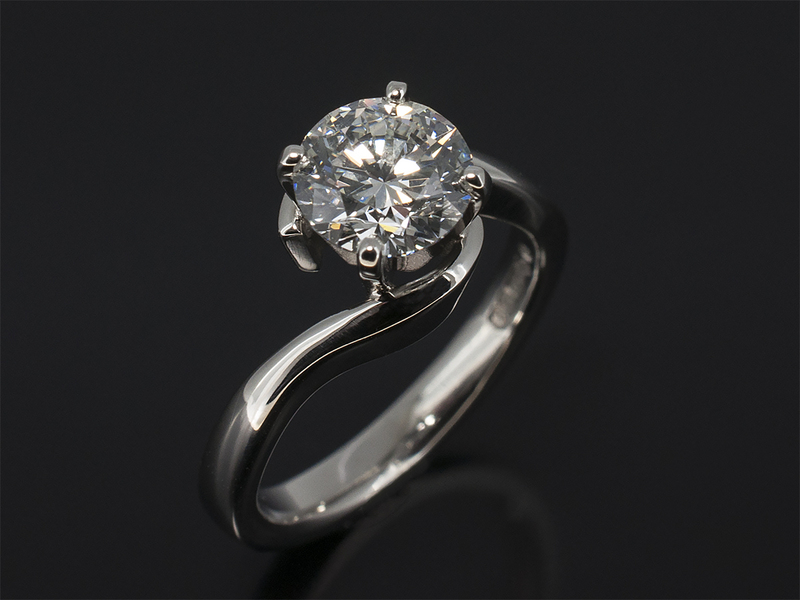 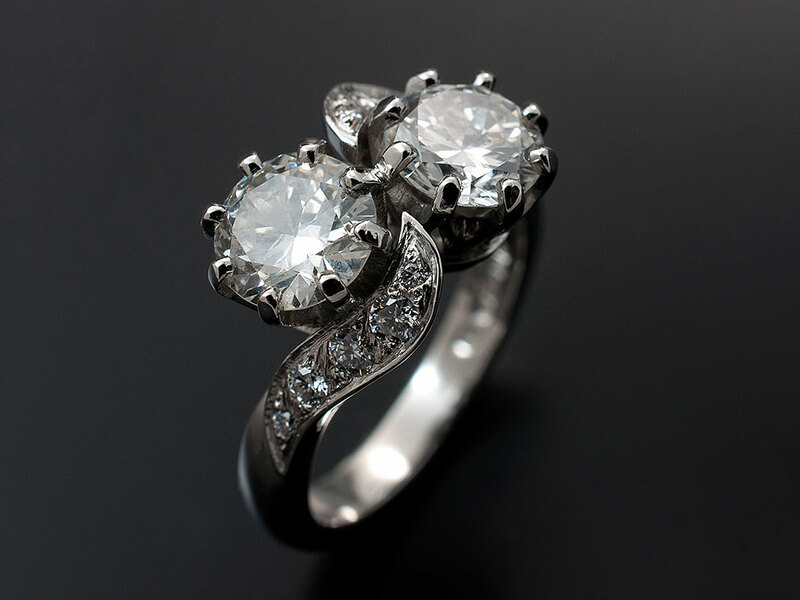 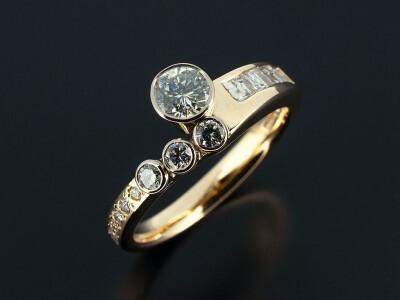 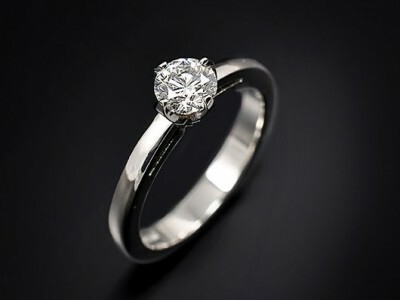 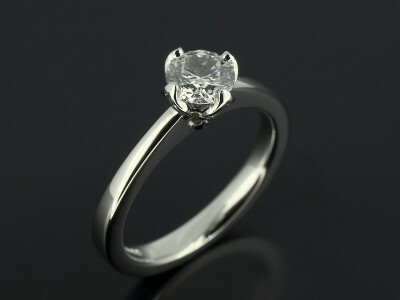 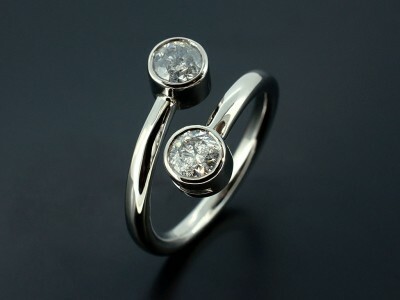 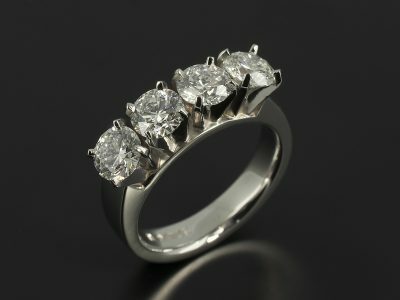 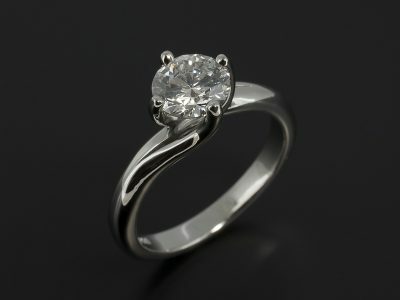 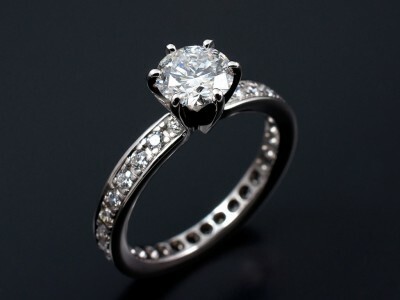 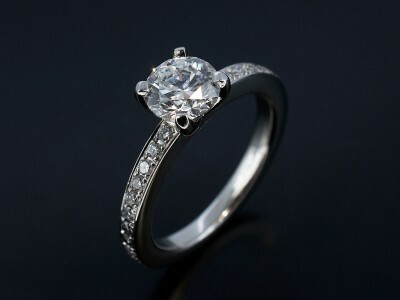 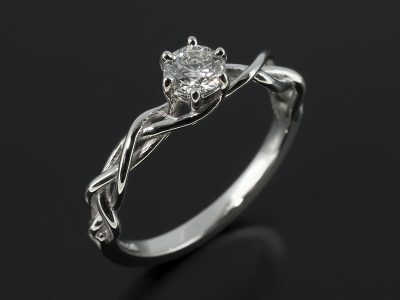 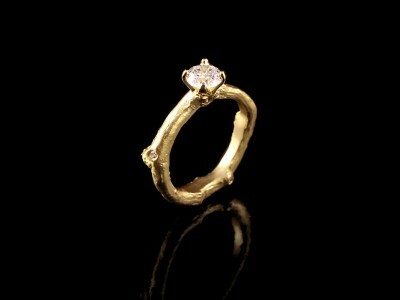 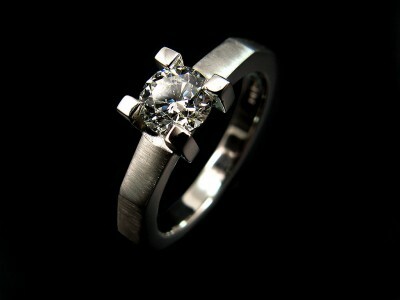 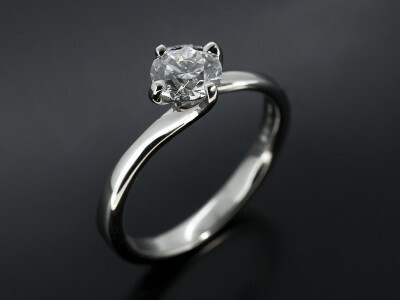 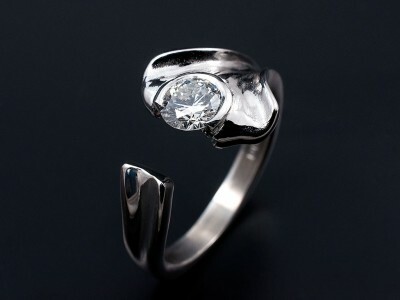 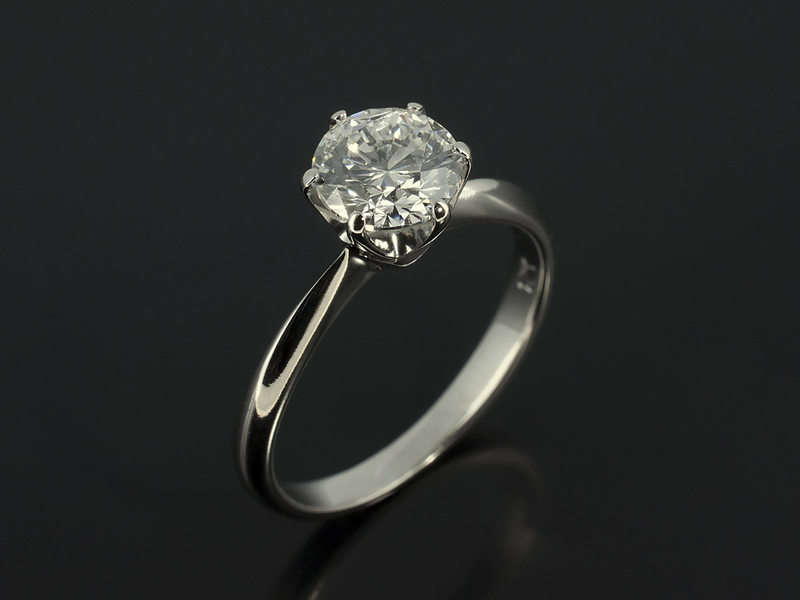 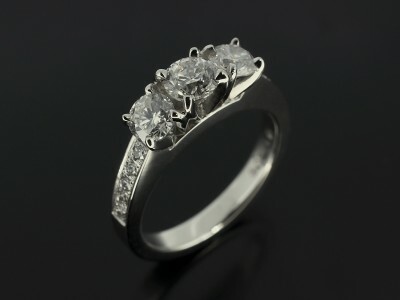 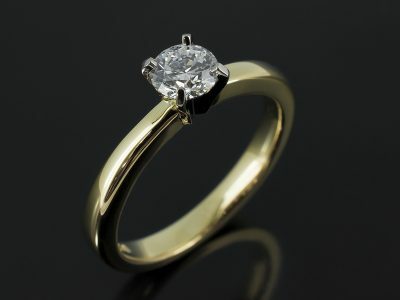 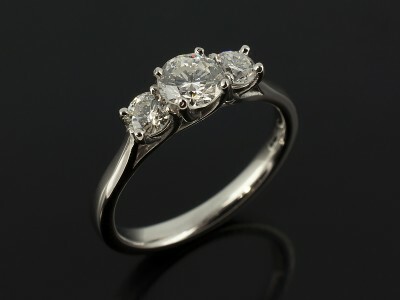 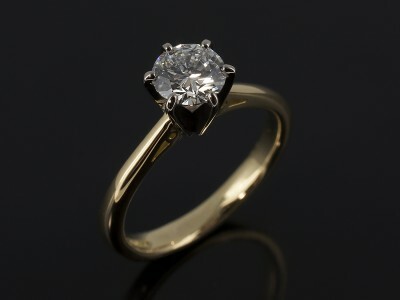 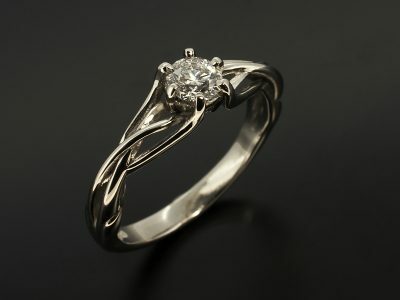 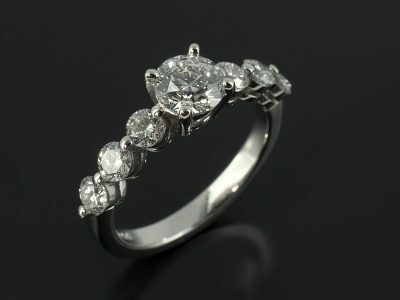 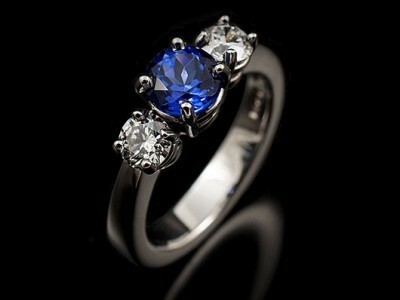 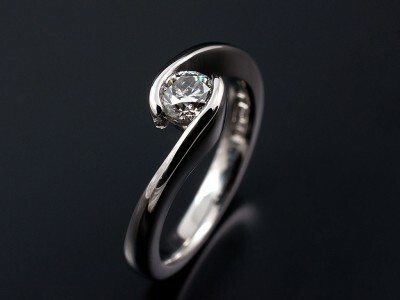 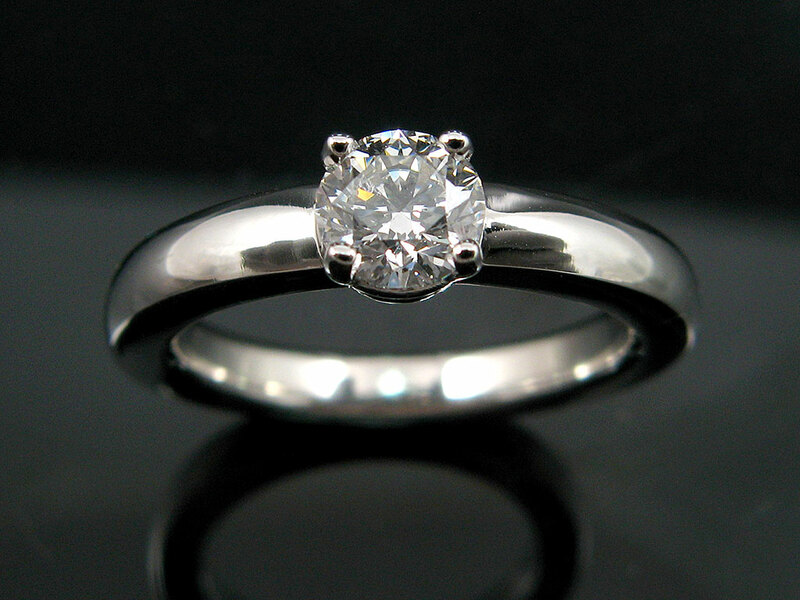 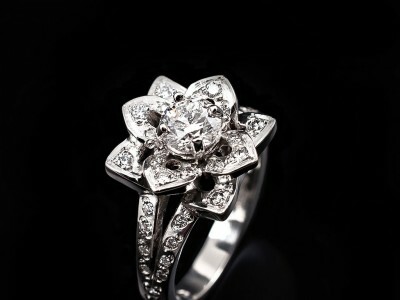 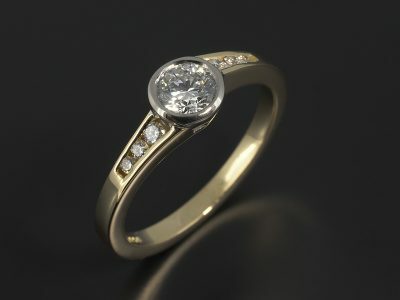 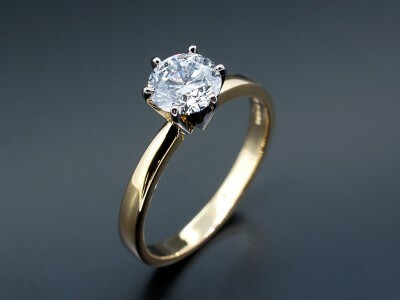 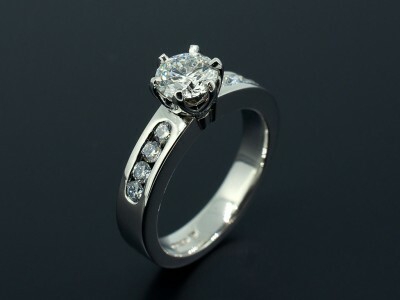 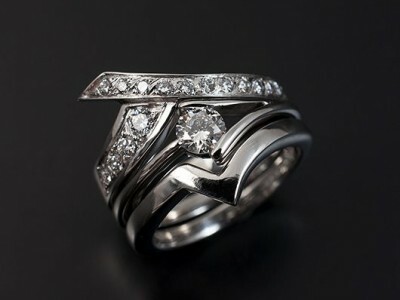 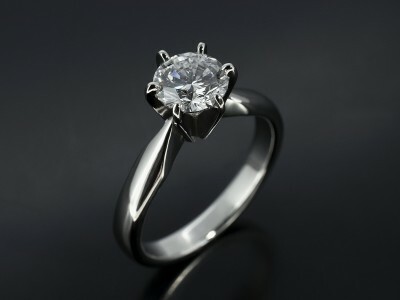 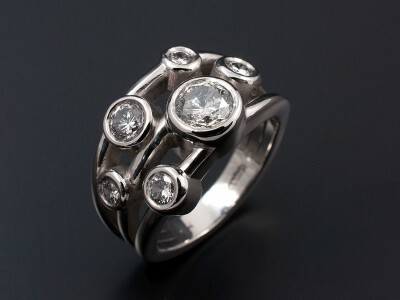 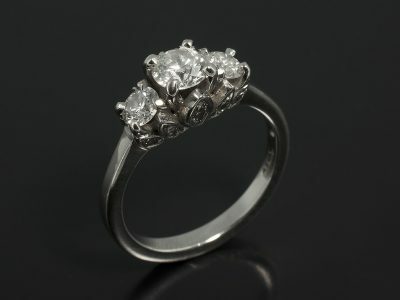 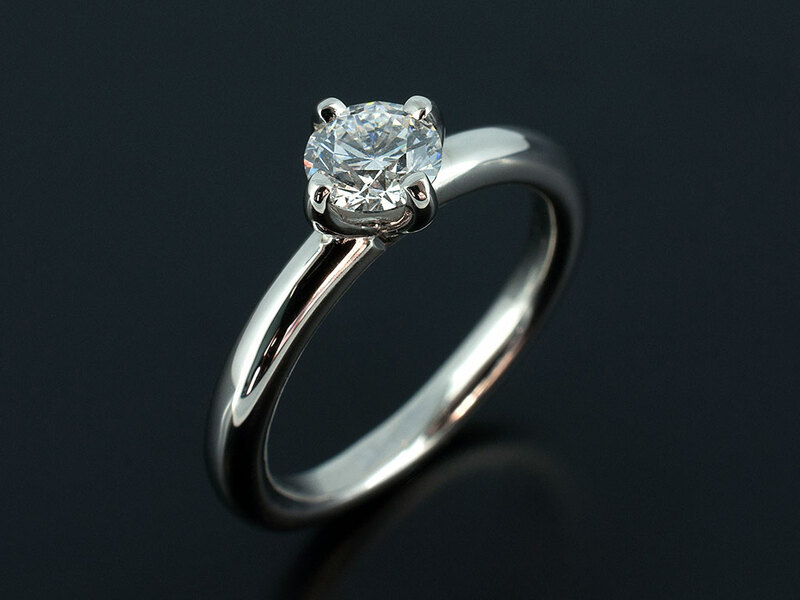 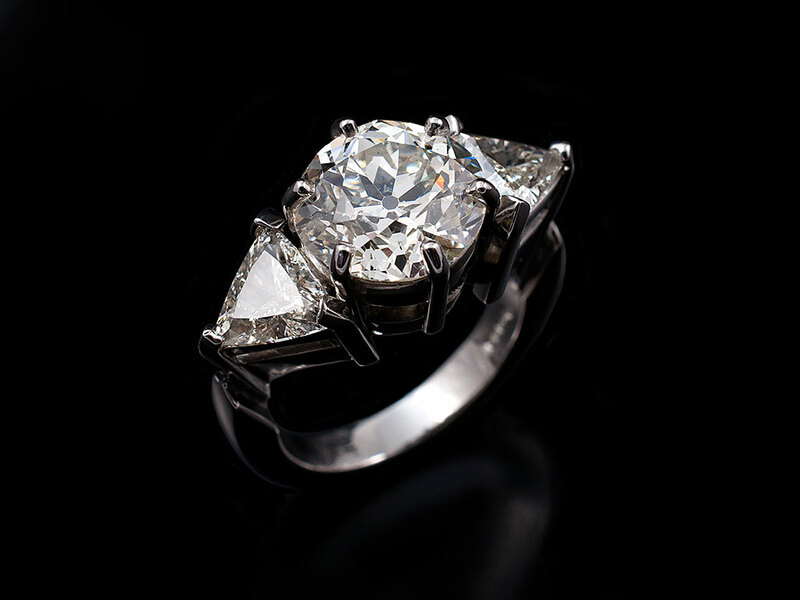 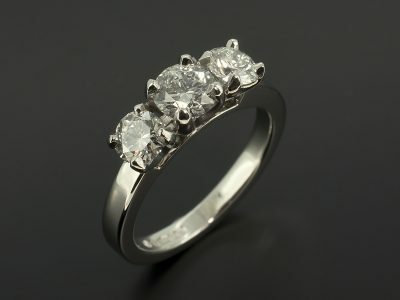 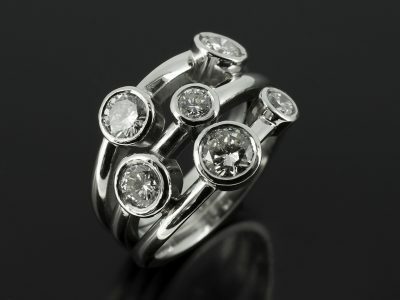 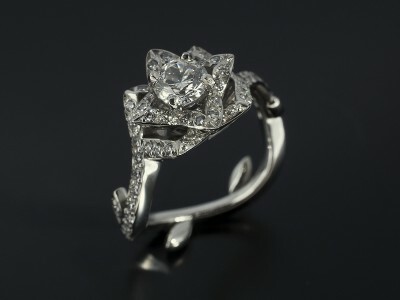 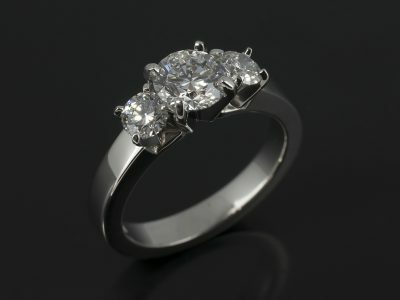 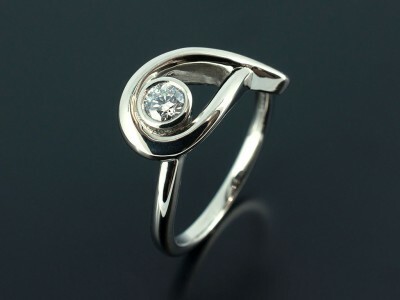 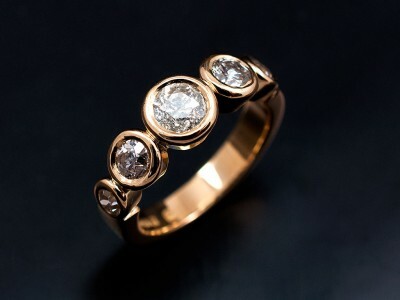 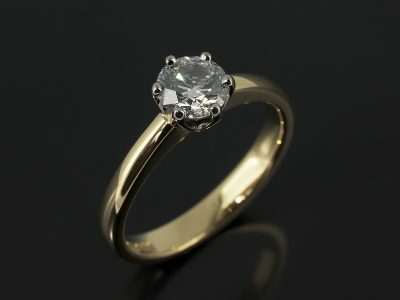 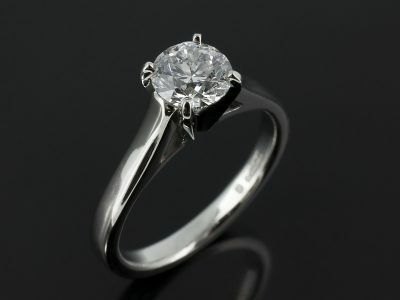 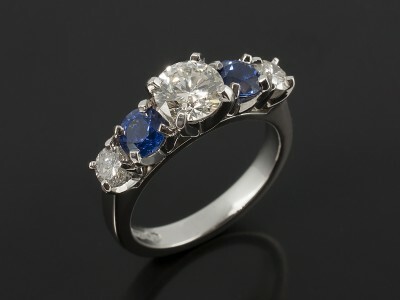 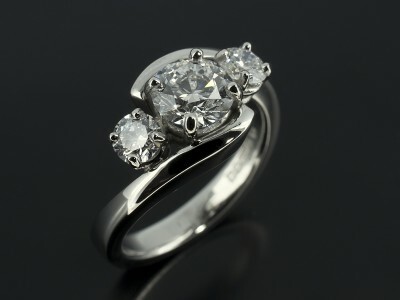 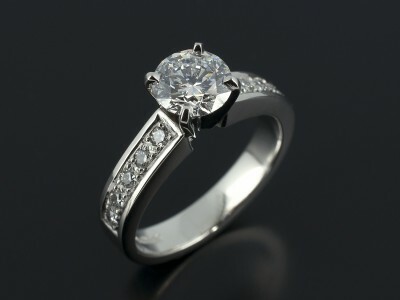 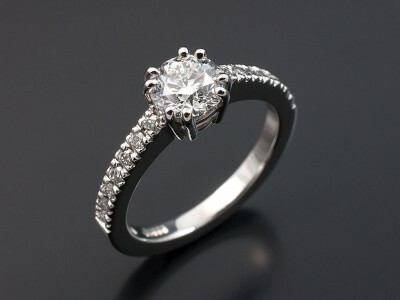 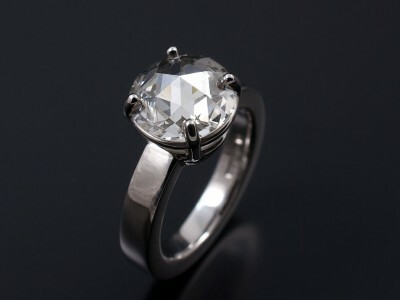 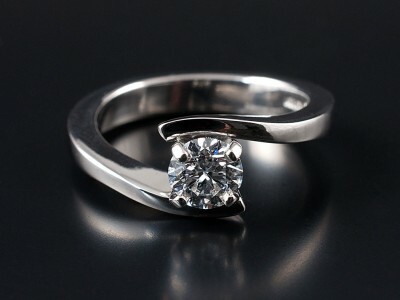 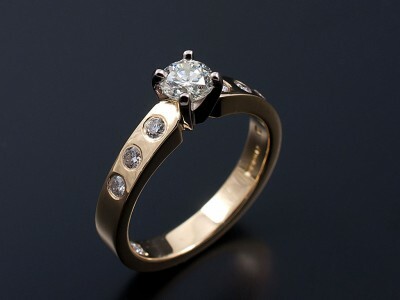 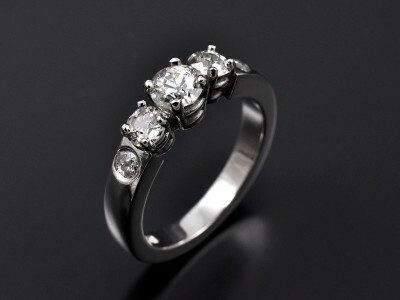 Round Brilliant Cut diamonds are the most popular and the most classic of all the diamond cuts available. 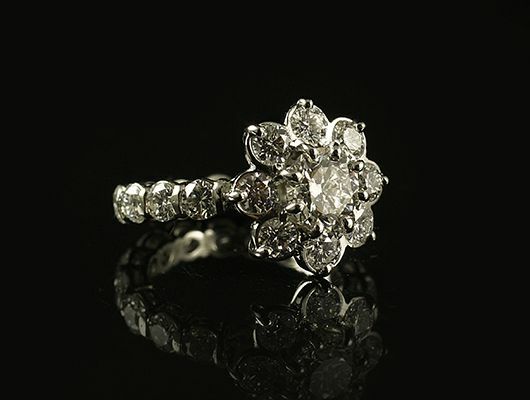 Refined and masterfully created by Marcel Tolkowsky in the early part of the 20th century they have become the iconic diamond shape that works superbly well when creating beautiful pieces of jewellery. 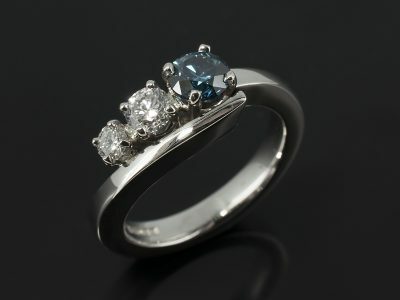 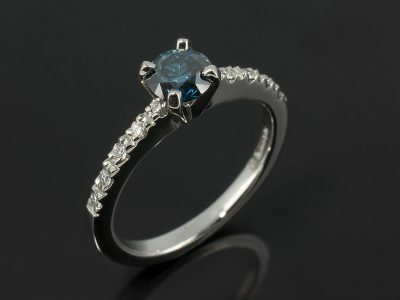 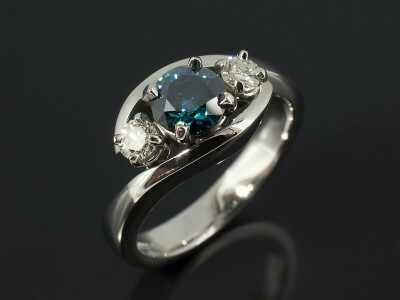 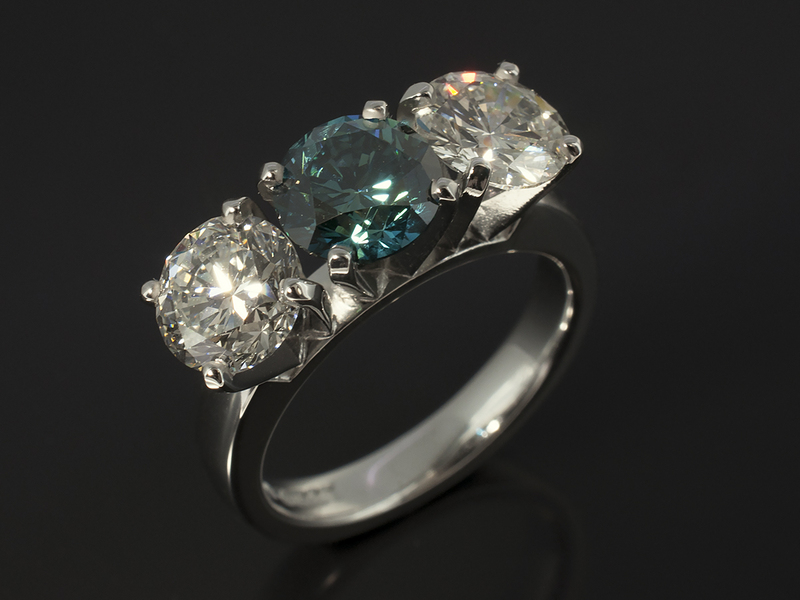 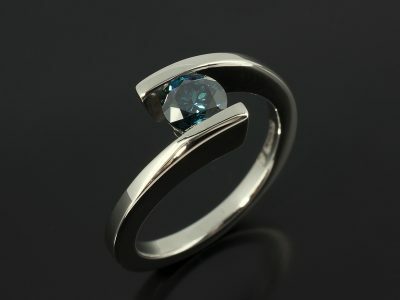 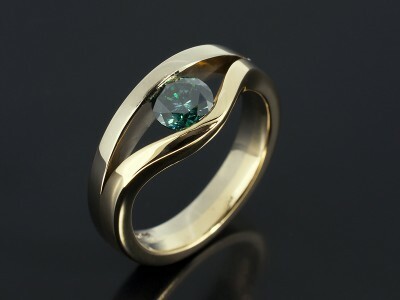 With 57 facets these diamonds have plenty of life, sparkle and brilliance. 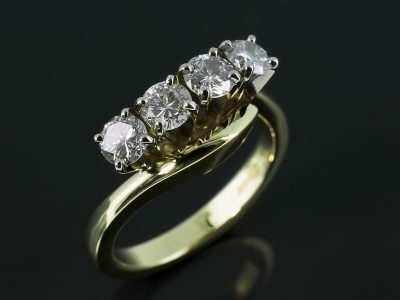 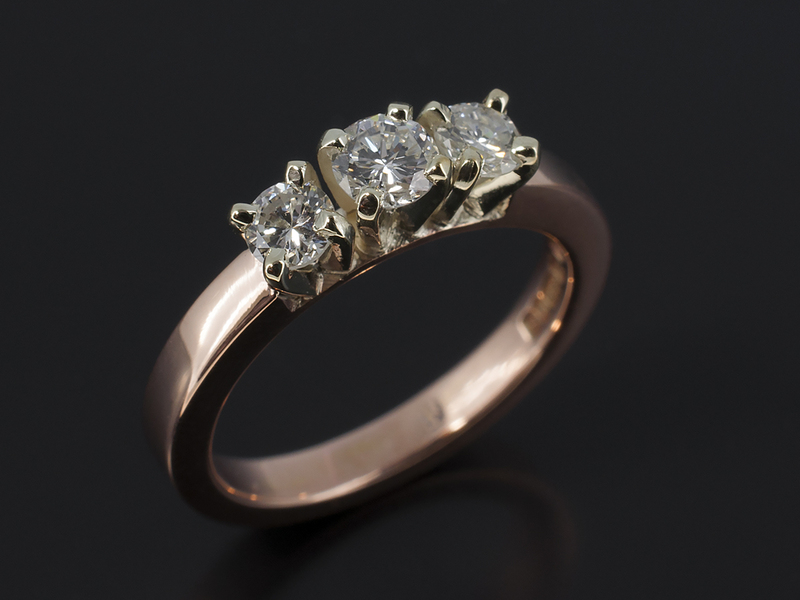 They work superbly well set in a simple solitaire design when it is ‘all about the diamond’ and also with additional detail set as a trilogy or with diamonds set into the band itself. 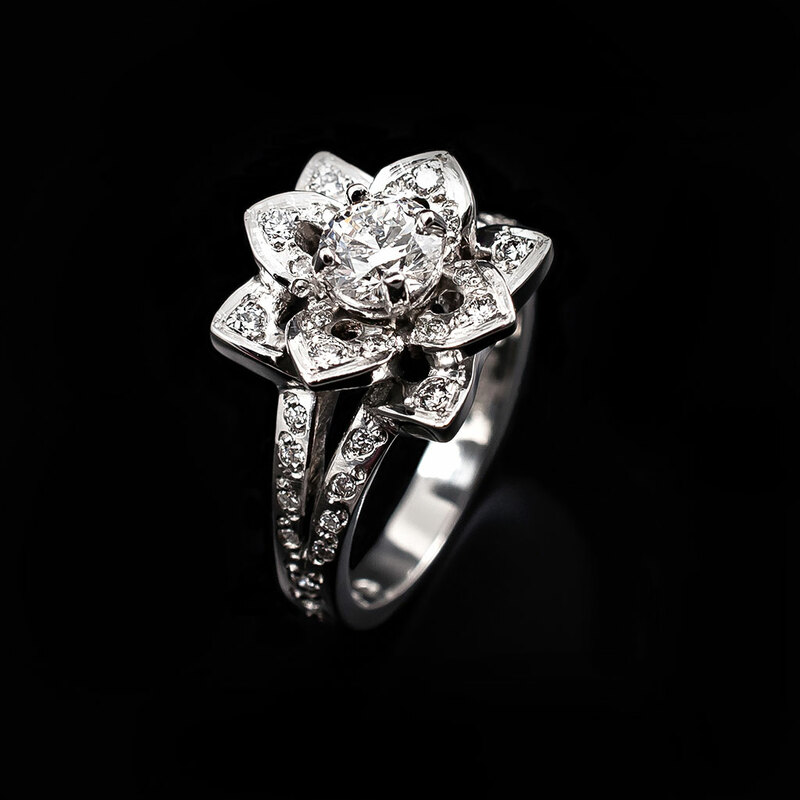 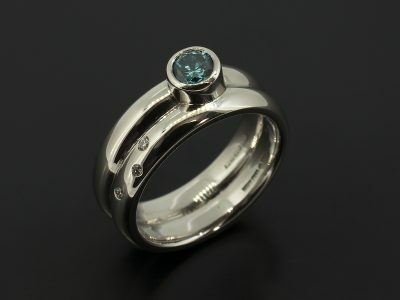 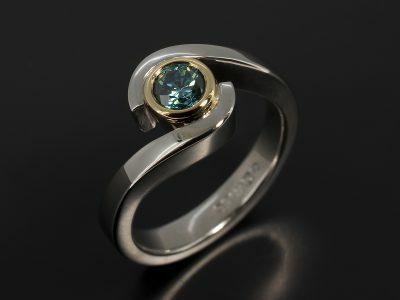 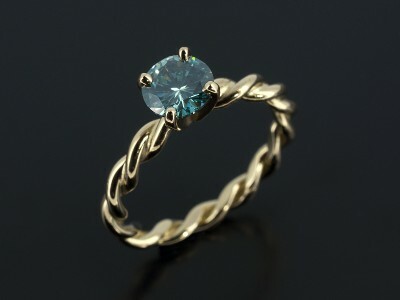 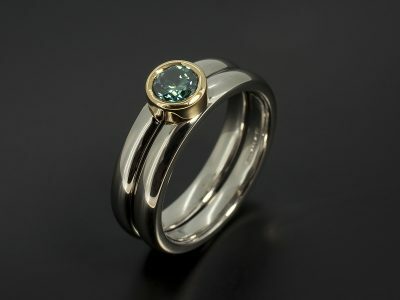 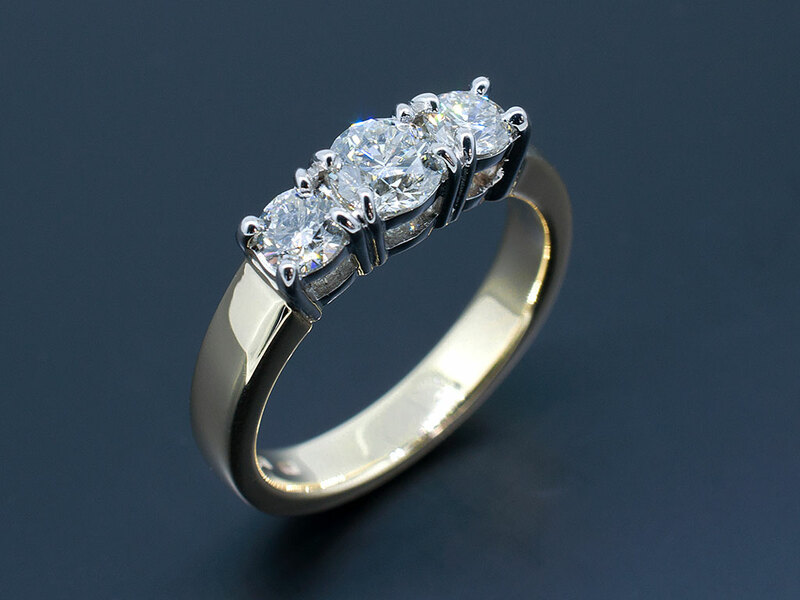 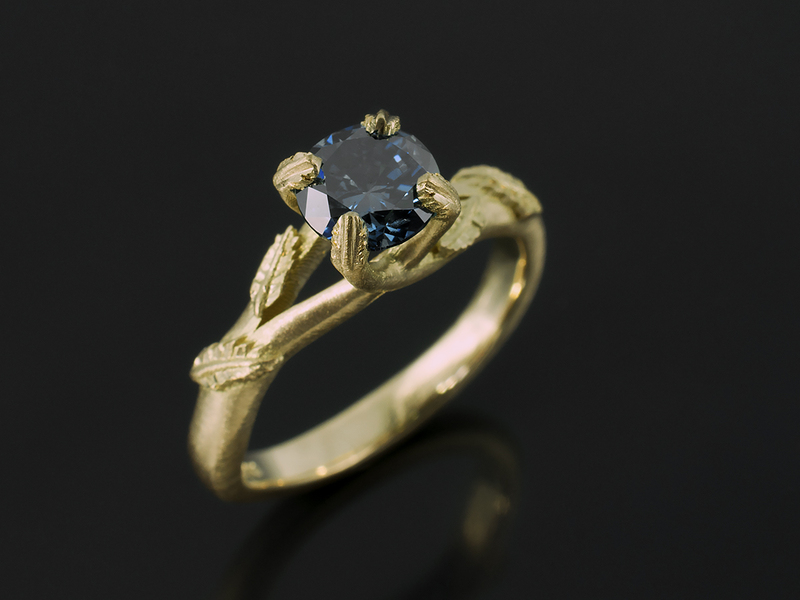 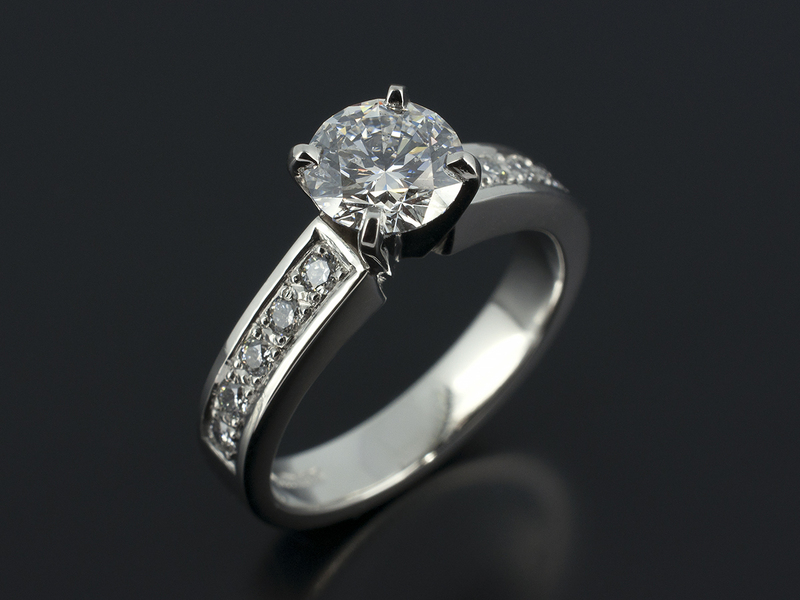 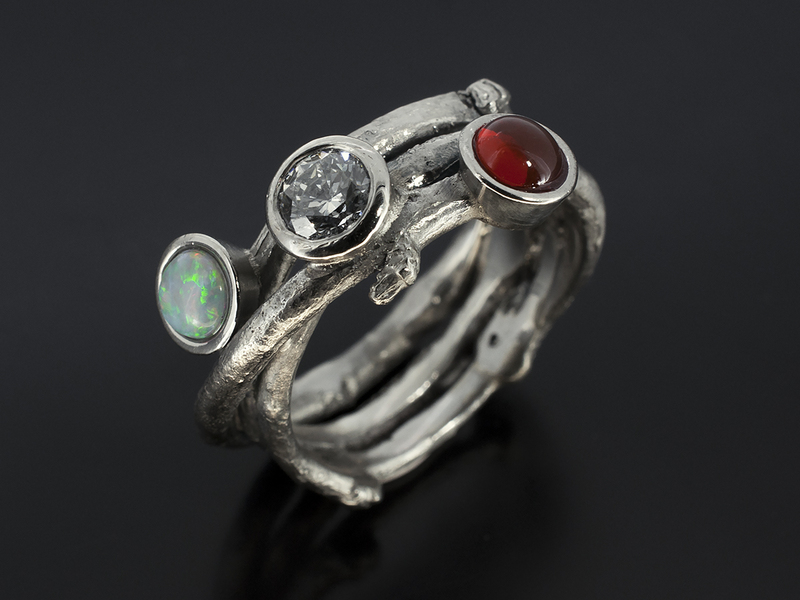 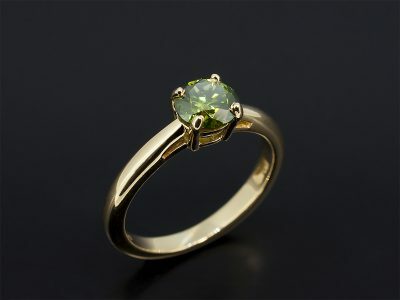 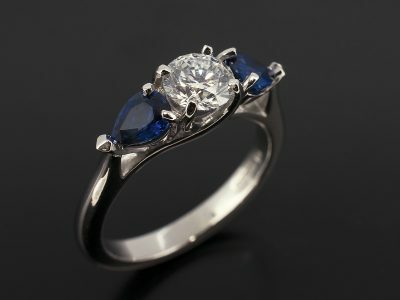 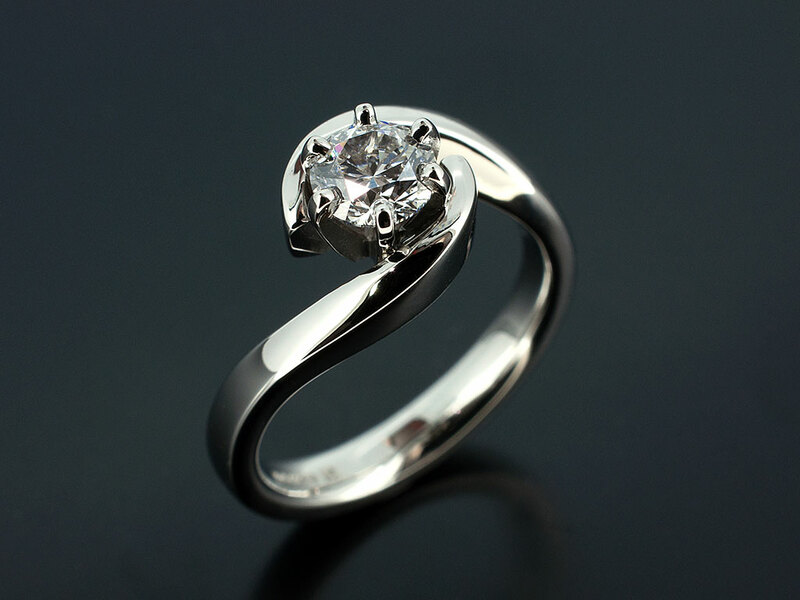 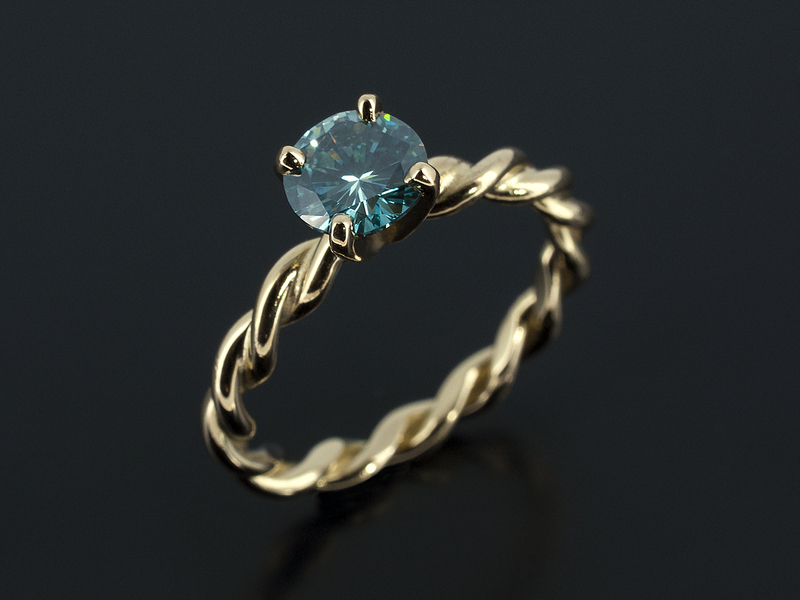 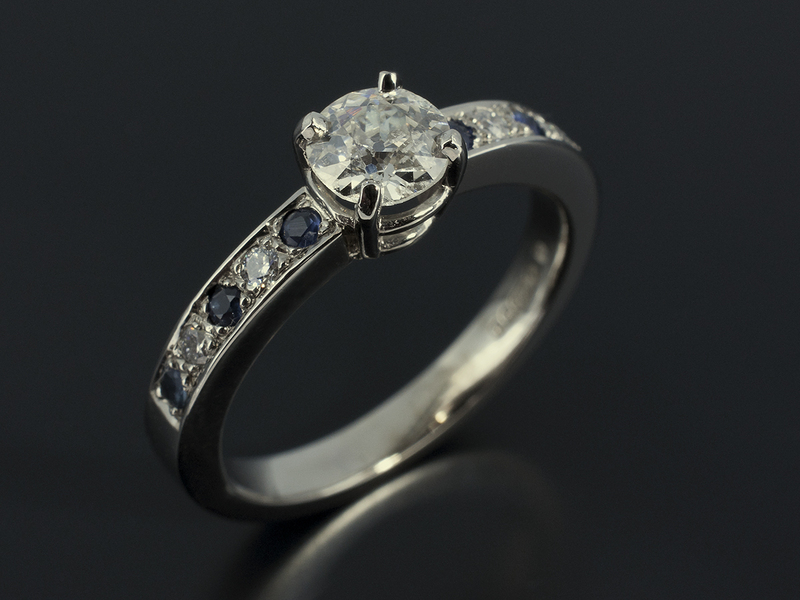 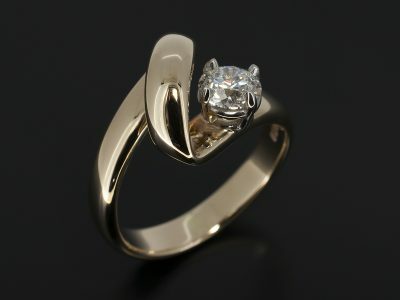 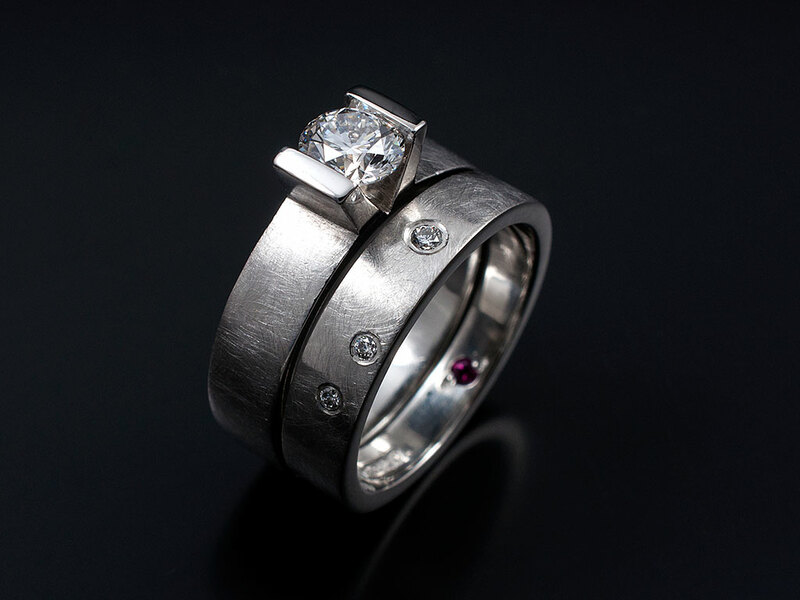 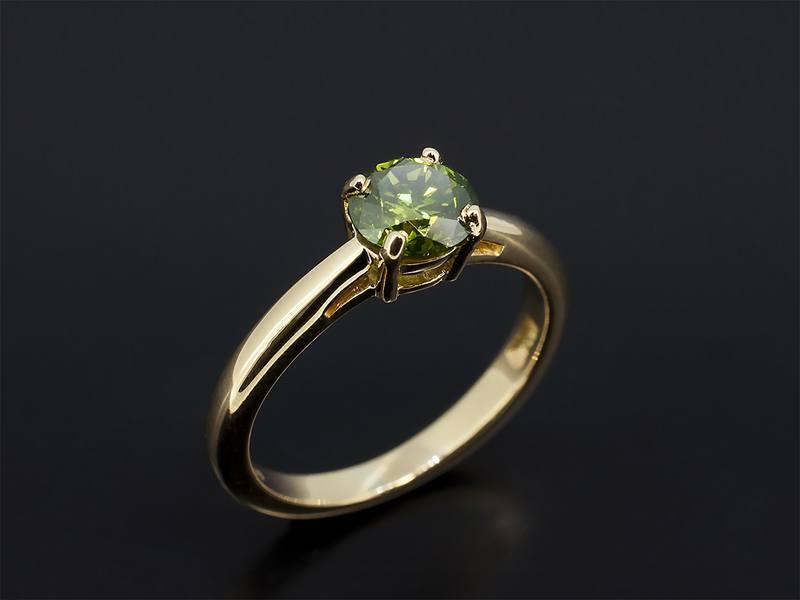 It is important also to note that any engagement ring design you see in our images can be made in accordance with your spending limit depending on the precious metals and precious stones that we use.